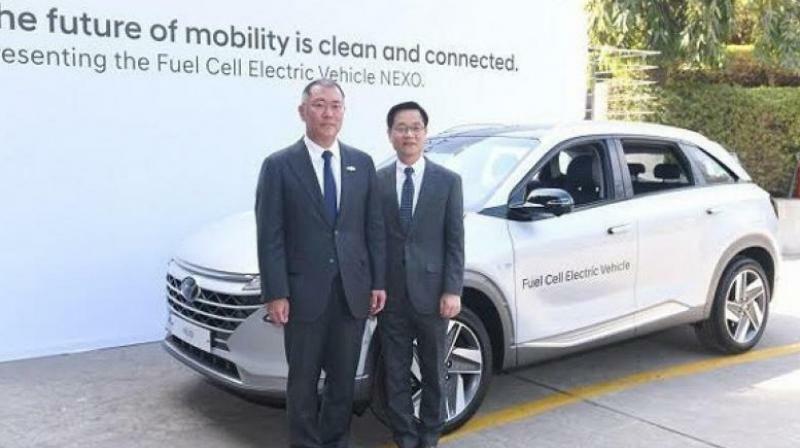 Chennai: South Korean auto major Hyundai plans to launch an electric SUV in India in the second half of next year, a top company executive said. The company, which is present in the country through a wholly-owned subsidiary, said it aims to leverage its global technology prowess to bring in the most appropriate and relevant EV to India. "We will launch an electric SUV in second half of 2019. We will import it as completely knocked down unit," Hyundai Motor India MD and CEO YK Koo said. In the long term, the company would produce EV models from its Chennai plant, he added. Koo said company's strategy for EVs is in line with government's vision of making India an EV market by 2020. Hyundai had showcased EV models Ioniq and Kona during the auto expo earlier this year in Delhi. Koo said the company plans to launch eight new models in the country by 2020 and also enhance production capacity to 10 lakh units a year by first quarter of 2021. Hyundai aims to roll out 7 lakh units this year from its Chennai plant while next year it plans to enhance the production capacity to 7.5 lakh units per annum, he added. During the first half of the current year, the company sold 2,75,136 units in the domestic market, a growth of 8.6 per cent over same period of 2017, Koo said.